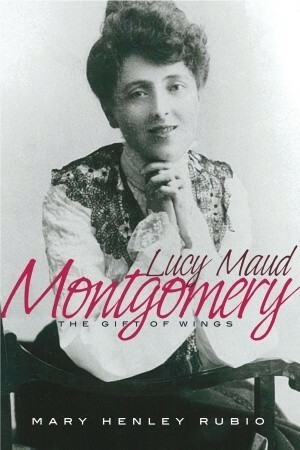 In The Gift of Wings, Mary Henley Rubio states that “Maud was relieved when she finished the book… It had been a chore.” But you would never get that feeling while reading it. To me it felt like it was written in a whirl of headiness; it’s a page-turner full of high emotions and dramatic plotting. It isn’t until you look at it more closely that you can see LMM’s impatience with the way she felt things needed to go. 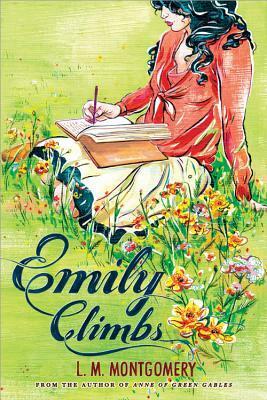 One thing Maud found while writing the Emily books was that the tastes of the public were changing. Women were “caught between the old attitude that they should subjugate themselves to their husbands and the new one that they could have independent ambitions for themselves. 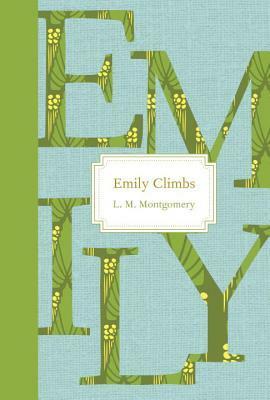 By the 1920s her books were beginning to reflect this new reality.” I noticed this theme in Emily Climbs with her conflicting thoughts: “I shall never marry” and “Emily was really never to belong to herself again“. In Emily’s Quest, we see this theme play out even more dramatically. 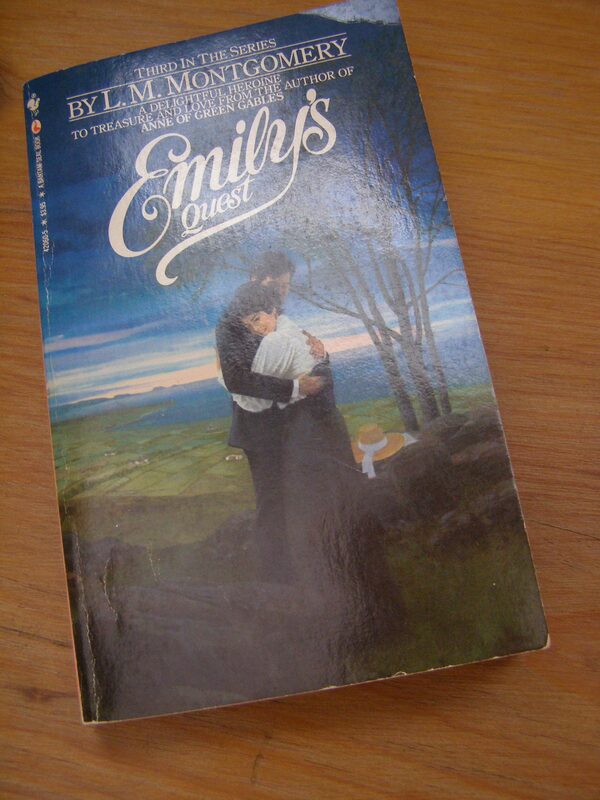 Is Emily’s “quest” her writing ambitions, or her search for romantic love? 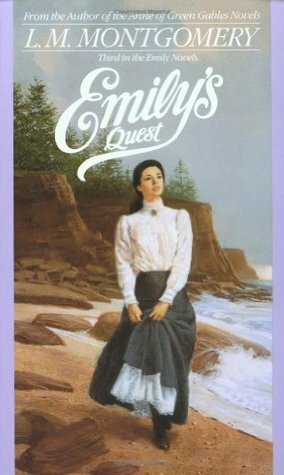 I found that, with the need to wrap things up “traditionally” to appease the readers, Emily’s writing triumphs got buried, and by the end the fact that she had published her first book was all but forgotten. 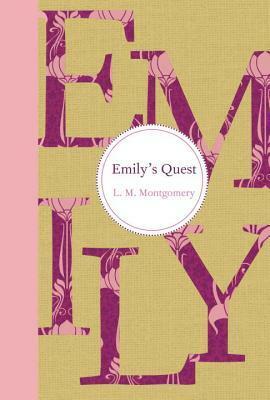 However, with her turned-away string of suitors over the years, the message is also pretty clear that Emily was not willing to marry just anyone – she’s prepared to live with just her writing to keep her company. There was only one person in her world that could convince her otherwise. Although, with Dean, she had a very close call. 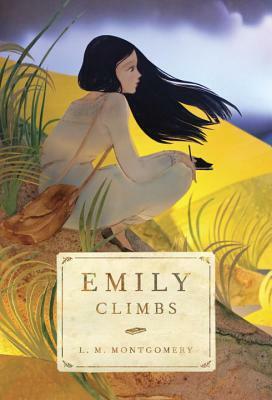 In the comments section of my post on Emily Climbs, Sarah, Julia, and I have already been discussing the change in the ‘feel’ of Emily’s Quest compared to the first two books. 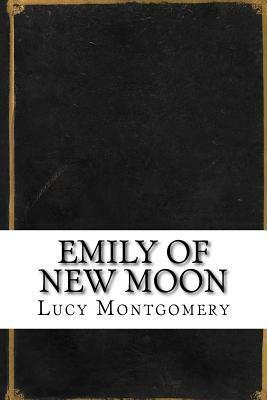 It seems to mix the old (Emily’s time spent alone at New Moon) with the new (Ilse and Teddy swooping in for fun-filled visits from the big city). And Sarah mentions that it feels like “Montgomery was rushing from one scene to the next, not developing them as fully as she did earlier”. 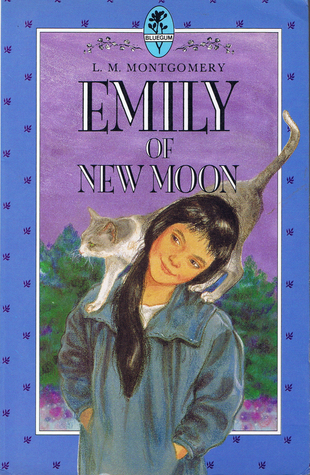 The other thing I noticed was how many dark, sleepless nights Emily was having. There was a lot of talk of loneliness, bad dreams and bitter nights, and the colour gone out of life. 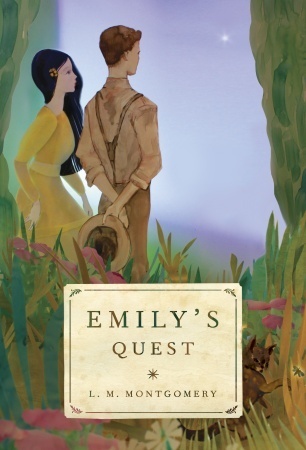 Anne would sometimes speak about “the depths of despair”, but I think Emily actually felt it. Maybe a reflection of Maud’s own struggle with depression over the years? Despite the change in tone, the rushed feeling to some of the scenes, and the days of darkness Emily experiences, I still loved every minute of it. I can always get through today very nicely. It’s tomorrow I can’t live through. Life might, in some ways, be a thing of shreds and tatters, everything might be changed or gone; but pansies and sunset clouds were still fair. She felt again her old joy in mere existence. While Ilse and Teddy are away at school in Montreal, Emily chooses to stay home and write. She continues to make money off her stories and poems. She even decides to try her hand at a novel. Too bad Dean takes all her hopes and dreams and crushes them in one sentence, causing her to burn (!!) 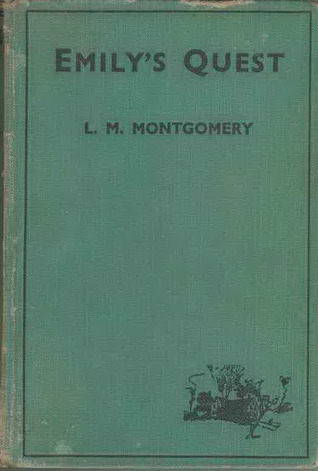 her novel. Gone forever. She might never get over it. And for a long time she doesn’t – her interest in writing disappears after the burning of the book and throughout her engagement to Dean. And Dean turns out to be no Colonel Brandon; he may have sat by her side those long months after her fall down the stairs, and she may have felt closer to him than ever and agreed to marry him… but his dishonesty will catch up to him. We already know what happens to Dean – he continually tells Emily her writing isn’t good enough, because he wants her for himself. Believing that Teddy doesn’t love her, Emily eventually agrees to marry Dean, Dean buys the Disappointed House (which gets him huge bonus points from Emily but none from me), they spend an almost wonderful summer furnishing and decorating it, but Emily tries hard not to look at the ashes in the fireplace and remember her evening spent there with Teddy – which puts a damper on things. Emily eventually realizes that she loves the house more than she loves Dean, crushing him as he crushed her dreams of writing. This is when he confesses that he actually thought her novel was good, and it is when I can start feeling sorry for him instead of angry. But Dean did know too much. He had eyes that had seen too much. In a way that had been part of the distinct fascination he had always had for Emily. But now it frightened her. Had she not always felt – did she not still feel – that he always seemed to be laughing at the world from some mysterious standpoint of inner knowledge – a knowledge she did not share – could not share – did not, to come down to the bare bones of it, want to share? Yet she was happy… but a crippled, broken-winged happiness – not the wild, free-flying happiness she had dreamed of. Mr. Carpenter dies in the first few chapters of the book. It’s sad and comical at the same time – very suitable for old Mr. Carpenter. He makes Emily promise not to write to please anyone but herself, and his very last words are “Beware of italics“. We finally get to find out the story behind Mrs. Kent. 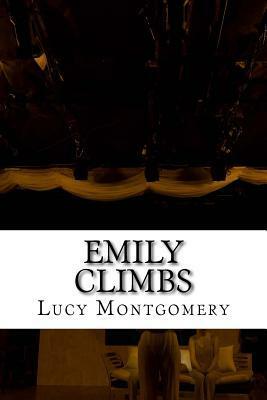 Her part in this book is agonizing for both her and for Emily. We find out why she has felt haunted all these years, as well as the fact that she is the main cause for the years-long, life-ruining misunderstanding between Emily and Teddy. Oh, Mrs. Kent, how could you?! (“It’s madness to love anything too much.”) But Emily is the best, because she is just so happy to know that Teddy did love her at one point, even if he doesn’t anymore, that she is able to forgive Mrs. Kent for ruining her life. As she did for Dean for trying to ruin her writing career. 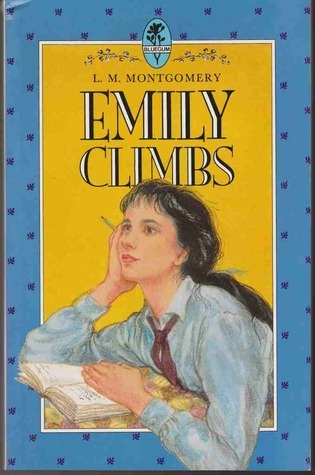 From here, Emily is determined to move on and to focus on her ambitions. 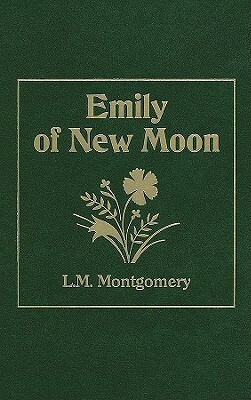 She has reconciled herself to becoming the newest “Old Maid” of New Moon. I think I’ll just take a minute here to mention Perry, because I think he’s one of the best characters in the book and it’s a pity that Emily shrugs him off so easily. In fact, if not for Perry, this book would have had a much different ending; misery all around. I admit to feeling angry at both Emily and Teddy; for their pride and unwillingness to be more direct with each other from the very beginning. Their communication skills were sorely lacking! You’d think after Ilse and Teddy’s engagement was off, one of them would say something to the other… you know, just in case… there’s no longer any reason not to… nothing to lose… just pride… but no, the agony continues. 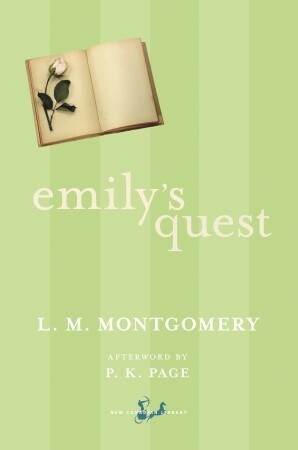 Emily’s greatest accomplishment in this book is getting her first novel published. But it does not come easily. Her first attempt at a novel is burned and gone forever. And for a while after that, Emily gives up on her writing. 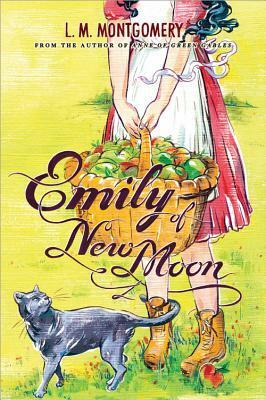 But when Aunt Elizabeth is laid up in bed for a few weeks, Emily decides to try to entertain her by writing her a story – she writes a chapter a day and reads it to the New Moon folk. Even Aunt Elizabeth laughs at Emily’s story (Emily counts it as her “greatest triumph”). In pgs 145 to 148 they have an entertaining discussion over Emily’s characters, and even point out the ones they think need to be changed or taken out for fear that their relatives will think they have been put into the book. There’s more delightful discussion as Emily reads over the various reviews of her book, in chapter 22, with Aunt Elizabeth, Aunt Laura and Cousin Jimmy defending it all the way. I hope LMM had such family and friends in her own corner of the world. This book is not without its flaws of reason, but that kind of makes it better in my opinion – the anticipation it causes is agonizing. It will be no surprise to any of you that Emily and Teddy are united at the end, but after all that agony of misunderstanding and years gone by, the end feels rushed. I don’t remember it feeling so rushed; I have it blown up in my mind as something much more than it was. I didn’t even have time to cry. Maybe further evidence of LMM’s relief to have it done. The best part is that The Disappointed House no longer has to be disappointed. Oh, it is delightful to feel that you hold happiness in your hand and can hold it out, like a pearl beyond price, to one who longs for it. This afternoon I sat at my window and alternately wrote at my new serial and watched a couple of dear, amusing, youngish maple trees at the foot of the garden. They whispered secrets to each other all the afternoon. They would bend together and talk earnestly for a few moments, then spring back and look at each other, throwing up their hands comically in horror and amazement over their mutual revelations. I wonder what new scandal is afoot in Treeland. Spring and morning were laughing to each other today and I went out to them and made a third. While going through all the covers for the last two books, I started to notice that most of the covers went together as sets – something that was not as obvious with the Anne covers. So, I’ve put them together (they look so nice!) and ordered them from most favourite to least. More or less. Which sets do you like best? 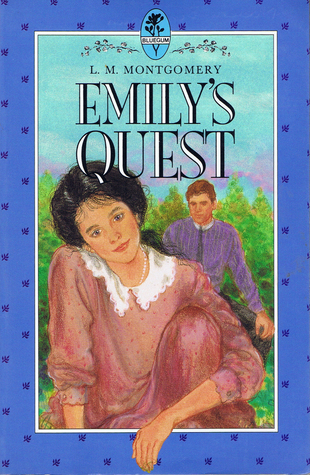 What do you think about the feel of Emily’s Quest? Do you think it could have ended any other way? 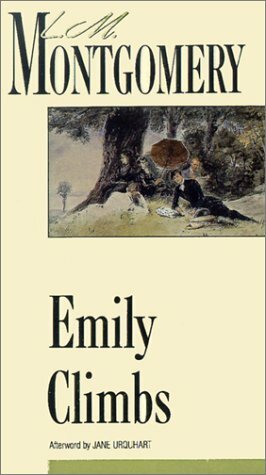 Do you have a favourite Emily book? 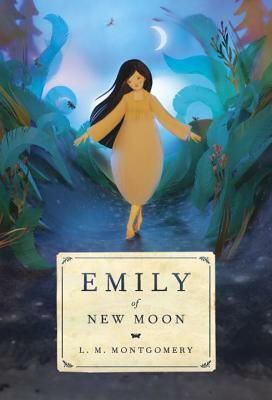 In case you missed it, here are my thoughts on Emily of New Moon and Emily Climbs. 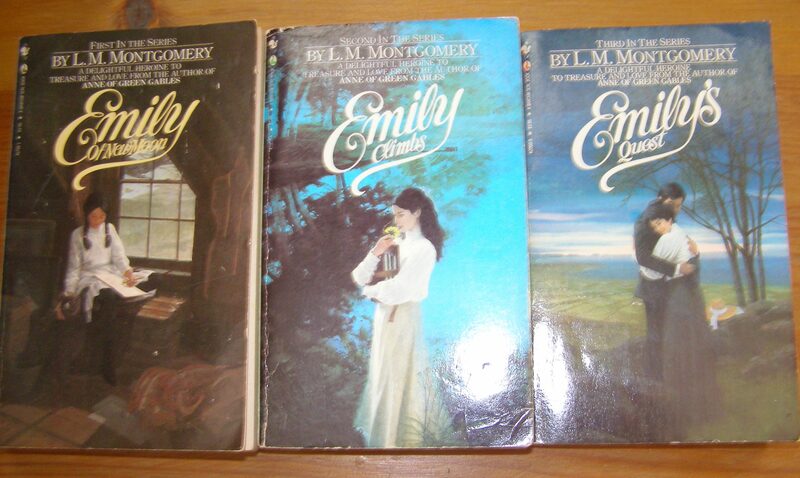 I’ve had such a good time re-reading the Emily books with all of you. I was thrilled with the response to my Readalong post – I had no idea there were so many enthusiastic fans. Thanks for joining me! I think set #5 is one of the most popular ones. I see it around in all the used book stores and libraries. 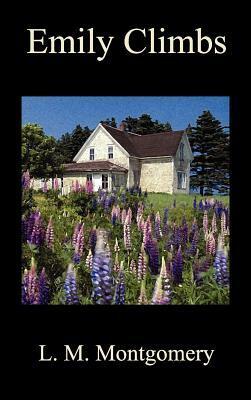 I like the pictures of the farm houses and lupines, but I don’t feel like they belong on the Emily books. 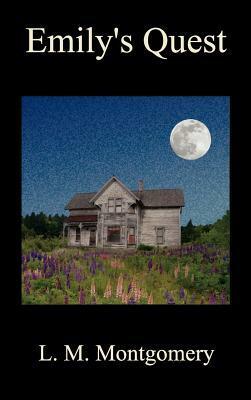 They are pretty, though – I’m especially drawn to the last one with the full moon – I want to explore that house! It’s so nice to see all of these covers in one place! Like you, I admit to feeling really frustrated by Emily and Teddy’s communication skills. But it makes the ending more special. I’m sorry I haven’t posted about Emily since the first month (I’ve been reading along, but haven’t had time to blog about it). I’m glad I’m not the only one who thinks the book is better because of Teddy and Emily’s faults! It might be LMM’s finest example of miscommunication! But, although, it seems like it goes on forever, there have been decades-long misunderstandings in some of her other stories. They just don’t feel as painful as this one does. What a triumph it is to have inspired Aunt Elizabeth to laugh! And to make her feel that it’s possible to get at the “real truth” through fiction. 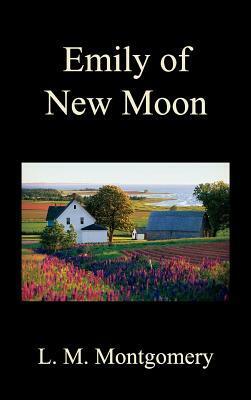 Even at New Moon, change is possible. Do you think it’s believable that Emily and Teddy don’t say anything to each other after the engagement is called off? I wondered about that, given that they’ve known each other so long, and, as you say, there’s nothing to lose at this point. Is the agony prolonged just so the book can be longer? I like your point about the difference between Anne talking about “the depths of despair” and Emily experiencing what it really feels like, with the insomnia, the dread of the future, and the absence of colour. Thanks so much for hosting this readalong, Naomi! I’d been meaning to reread the series, and I’m glad you inspired me to put these books at the top of my list for this year. Any plans for a Pat of Silver Bush readalong someday? 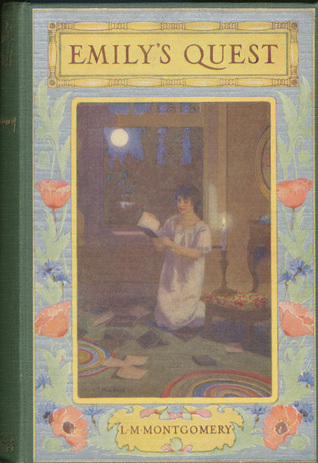 Or The Story Girl and The Golden Road? 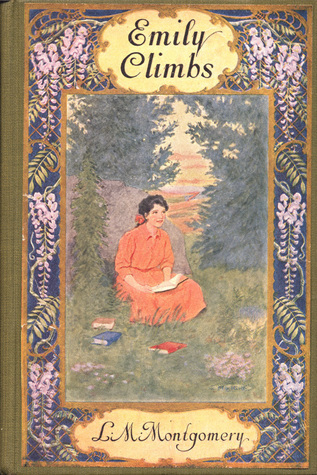 I think my next LMM-related book will be Budge Wilson’s Before Green Gables. I like your point that even at New Moon, change is possible. I think change/progress or the lack of it is a theme in a lot of LMM’s stories, but it’s not always front and center. I have actually already been thinking about which ones I will read next! Any requests? I’m happy to hear you’re planning to read Before Green Gables. 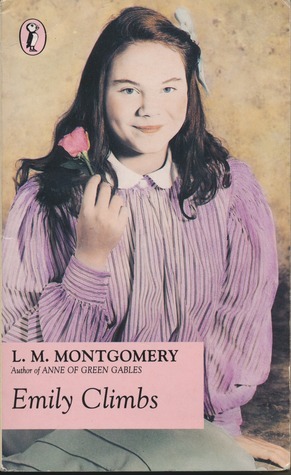 I watched the first episode of the new Anne of Green Gables last night, and would love to discuss the differences between Anne’s memories of her past compared with the story Budge Wilson imagined. Yes, why didn’t Ilse see that Emily was in love with him? She’s clever in other ways. 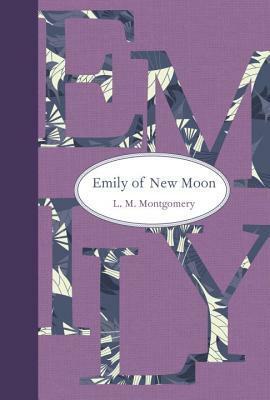 Emily of New Moon remains my favourite of the three books, partly because Montgomery does seem somewhat impatient with the story in the two sequels. There are so many to choose from for a future readalong! I might vote for The Story Girl and The Golden Road. I haven’t read either of those since I was, maybe, eleven or twelve. I also remember liking Jane of Lantern Hill. 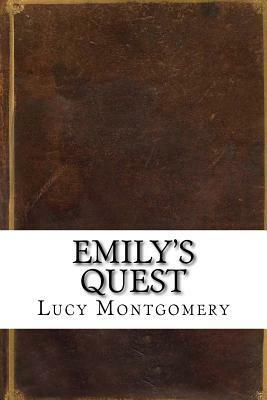 The Blue Castle would be worth thinking about, since it’s the one LMM started writing in between Emily Climbs and Emily’s Quest. 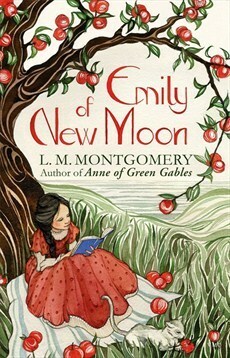 And it’s so different from the Anne and Emily books. I don’t think I could commit to another readalong right away, and I don’t know what your schedule is like, but maybe next winter? 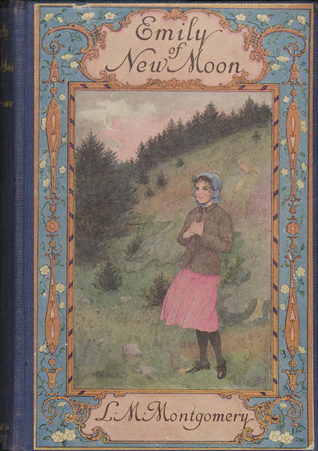 I was thinking about Budge Wilson’s approach to Anne’s story when I watched the first episode of “Anne: the Series.” Let’s compare notes after I reread Before Green Gables! And I was thinking the same thing about The Blue Castle. That’s probably one of my more recent re-reads, but not so recent that I wouldn’t read it again! Jane of Lantern Hill is another favourite. Let’s just assume we’ll eventually get to them all! Excellent! Let’s read them all. My friend Kate was telling me this afternoon about A Tangled Web and Kilmeny of the Orchard, which she’s been reading/rereading recently. I’d like to reread those ones as well. 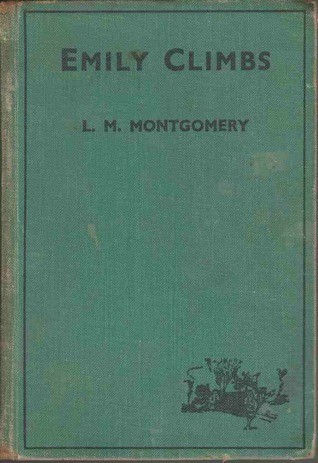 I spent a great deal of time reading Montgomery’s novels between the ages of 10 and 12. It’s definitely time to reread the others, in addition to Anne and Emily. I love them all – so I’m up for re-reading any of them! 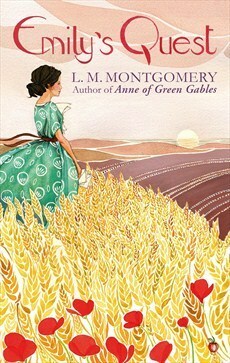 I would be interested to hear what you and Sarah think of Before Green Gables. I thought it was a wonderful addition to the canon, so well researched as to the social background and so evocative of Nova Scotia. This is all very foreign territory to Australians. I always wondered about Anne’s early days. The orphan theme is common enough in books but I always want to know what the conditions really were or how much is invented for effect by the author. Seemingly, not much by LMM! However, this book was universally disliked by anyone I lent/gave/recommended it to. 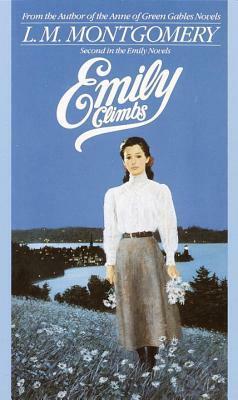 I really enjoyed Before Green Gables. 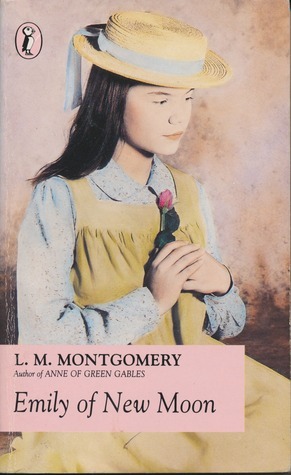 It depicted her life as a hard one before going to Green Gables, but not so awful as to squash her desire to imagine and hope for something better. It’s true that LMM didn’t give Budge Wilson much to go on – she doesn’t dwell very much on Anne’s past. I’ve been watching the new Anne of Green Gables series (the one with Amybeth McNulty), and it has taken a different approach again to exploring her time before Green Gables. Anne has flashbacks to her time with the Hammonds or at the orphanage, and they’re quite dark and miserable. 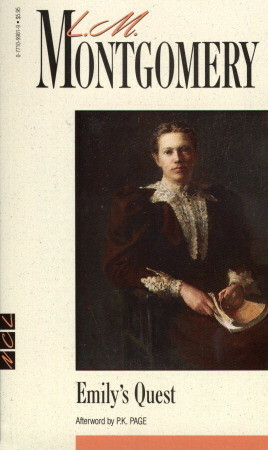 I was a fan of Budge Wilson’s short stories, so I was really looking forward to Before Green Gables, and I loved it. 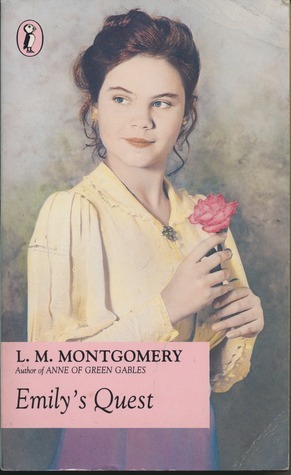 I thought her interpretation of Anne was consistent with the Anne we know from Montgomery’s novels. The heroine of the new “Anne: The Series” is very interesting, but she’s a different character altogether. I didn’t like that Emily thought it more of a triumph to get Aunt Elizabeth to laugh than anything else … I suspect that does presage giving it up for good once she marries Teddy. He won’t give up his art, that’s for sure. There’s a mixed message here. I can’t help wondering about Perry: he was the first to appreciate and value Emily and he never wavers. He wouldn’t have got in the way of her career as he won’t with Ilse. He was rather fobbed off! The whole story now feels rather contrived, which is different to when I was a much younger reader. I didn’t get the feeling that Emily plans to give up her writing after marrying Teddy. I just assumed she would continue on. 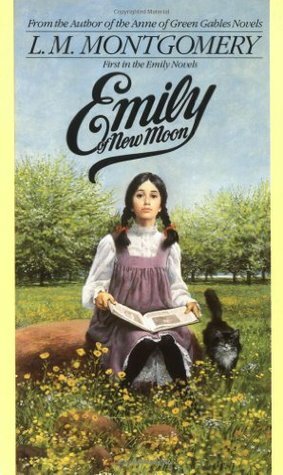 I must find some Emily books for my daughter before she outgrows them. I love seeing all those covers – some are decidedly more appealing than others! #4 is beautiful! Wouldn’t it be fun to own them all? But now I sound like my daughter when she talks about collecting all the different Harry Potter sets! Colonel Brandon is a more mature character. He has no idea of manipulating Marianne into doing what he wants. It’s too fashionable in the JA world to write him off as stodgy. A man who plans an elopement and fights a duel?? Can’t see Teddy doing that. I loved every minute of it. And, it’s left me wanting more, but I’m going to try to hold off for a bit and catch up on a few other things! 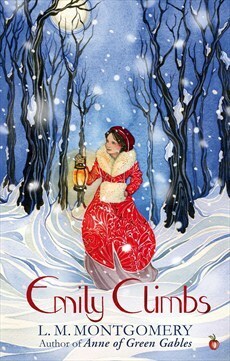 I also love the Tundra covers, but for some reason I feel like they are more suited to Anne than to Emily. There are some beautiful covers in the batch you shared! I’ve never read these books, nor have I read anything beyond the first Anne. Somehow I missed these in childhood, I don’t know why. I really do need to read them someday! 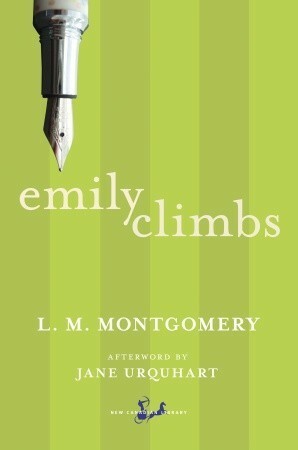 Awww, I love it so much when Emily publishes the book. I like it when Miss Royal writes to her and tells her that she was right not to take the job in New York. 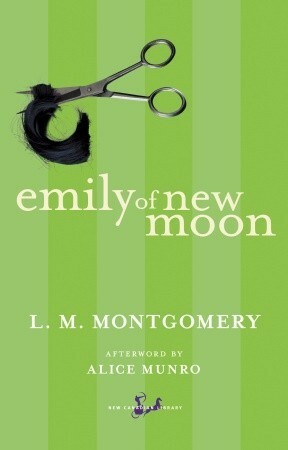 And obviously it’s always nice when the Murrays of New Moon stand behind Emily and get all excited about her reviews. I was so glad when she got that letter from Miss Royal! I feel a bit old school but I like the book covers #5 down from top (long skirt, white blouse). 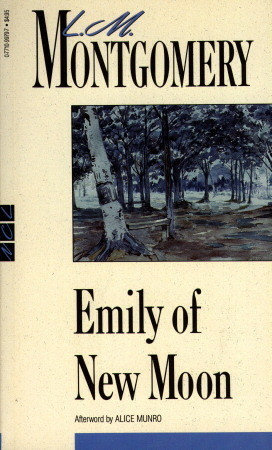 I will get to the Emily books sometime. Sounds like the author struggled a bit more with these. I think those covers are a favourite of many – they’re the one I see around the most. I’m very attached to my own, because I grew up with them, even though I know they wouldn’t be what others would choose. In the end, I had to force myself to finish the book! I had toothache and the dentist was closed for Easter. 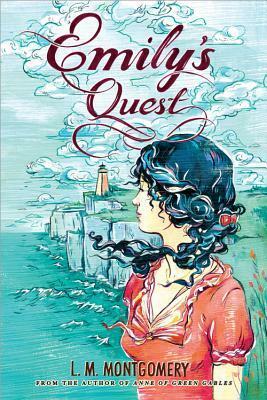 Quest was no distraction: it was too sad. LMM is describing a classic case of exogenous clinical depression here — that is, caused by outside influences. I think she is writing from her own experience. Teddy is the pits. I don’t think he’ll ever get over himself. There’ll be room for only one baby in that household! Your last comment made me laugh! I admire you for being able to read the book so critically, and not holding onto your childhood sentimentality, like I am. Thanks so much for joining in the readalong – it’s been a lot of fun!